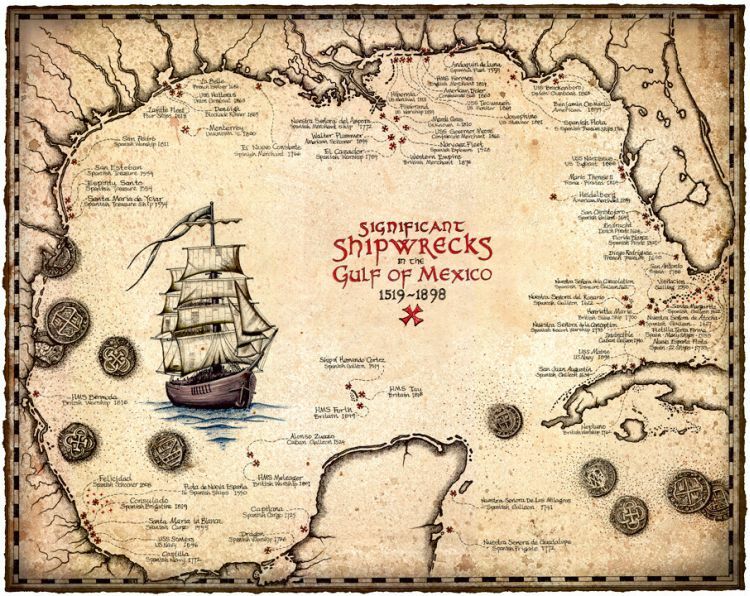 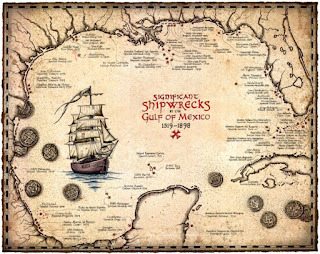 Over on the GeographicsArt etsy.com page, check out the "Shipwreck Map Of The Gulf Of Mexico 1519 Through 1898" here. 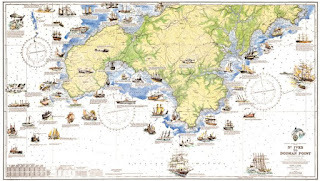 Also, on cornwalls.co.uk, have a look at "Shipwrecks of the Cornish Coast" here. 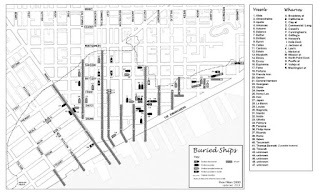 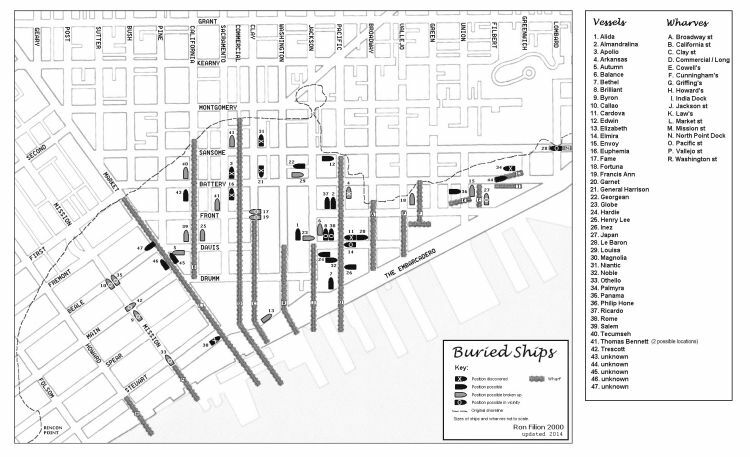 Finally, not quite shipwrecks, but "This Map Shows Where All the Ships Are Buried Underneath San Francisco" here.